One of the most loved ways to decoupage is to do a Mod Podge photo transfer – here are 30 ideas to get you inspired, from fashion to home decor! Skills Required: Advanced Beginner. A photo transfer to wood takes some knowledge of how to apply mediums as well as a little bit of practice. Scroll down to the bottom of the post to get a bonus video! Cathie and Steve show you how to use the clear and standard photo medium as well as give you tips and tricks. I waited far too long to do a Mod Podge photo transfer. 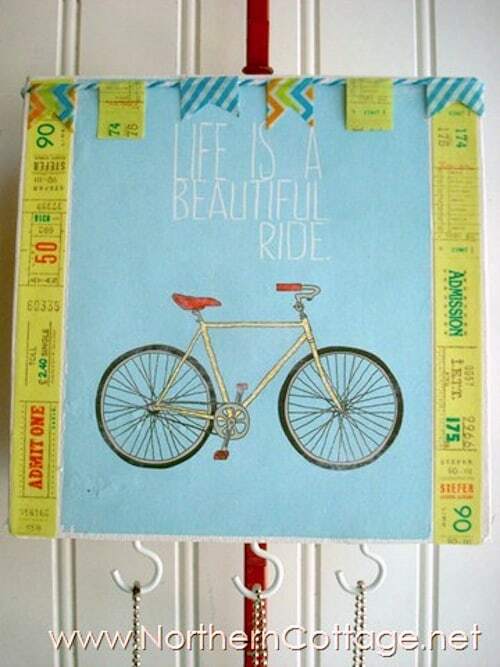 Because they are, in my humble opinion, one of the coolest Mod Podge crafts ever! 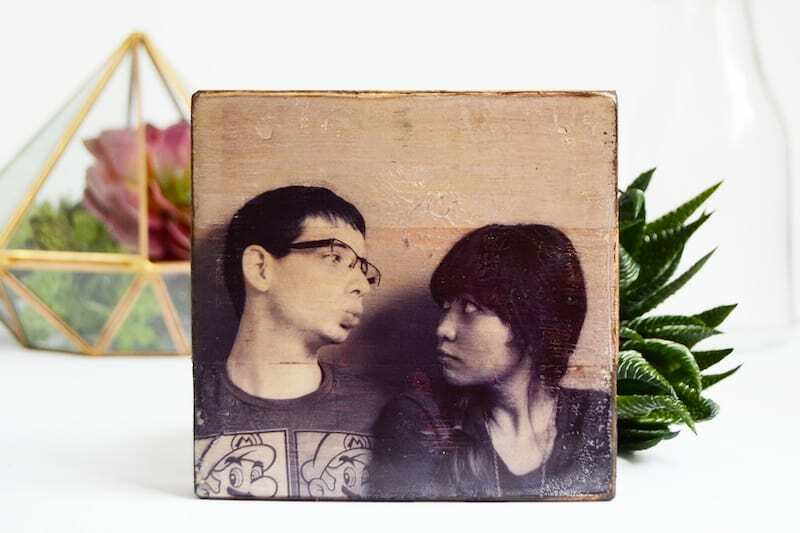 When I set out to find some cool Mod Podge photo transfer crafts, I didn't know what I would find. I only wanted to round up 20 . . . and as you can see, there were so many great ideas that I had to pull even more together. 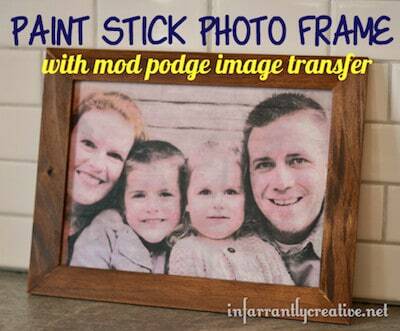 You aren't going to believe what you can do with Mod Podge when it comes to transferring images! Check out these great craft ideas. PS – A lot of these use Mod Podge Photo Transfer Medium. If you're looking for an easy way to do a transfer, this is your ticket. If you are going to attempt a photo transfer with the medium, you definitely need to check out my top five tips for using Mod Podge photo transfer medium. These are my most important tips and tricks that I can't live without. 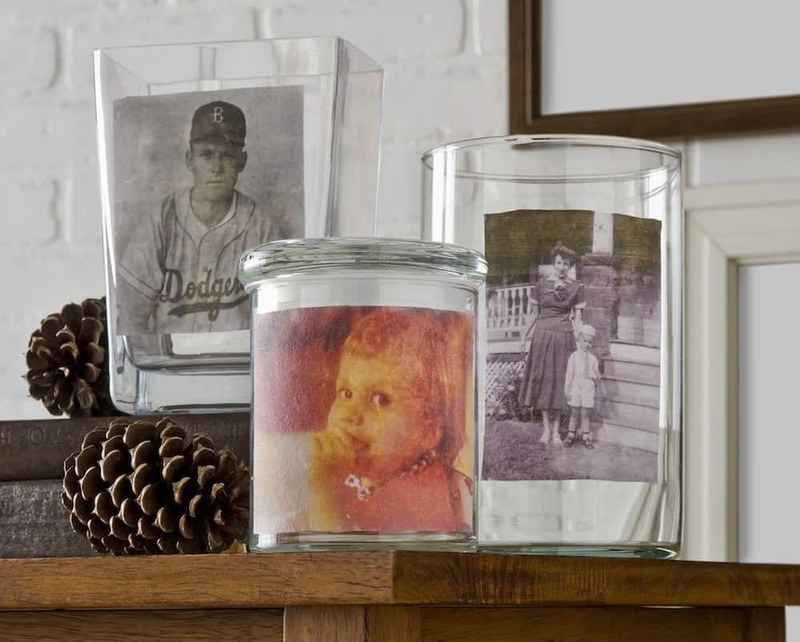 Spice up your next party with cool images transferred to the back of clear glass plates. You can do any words, logos, or images! 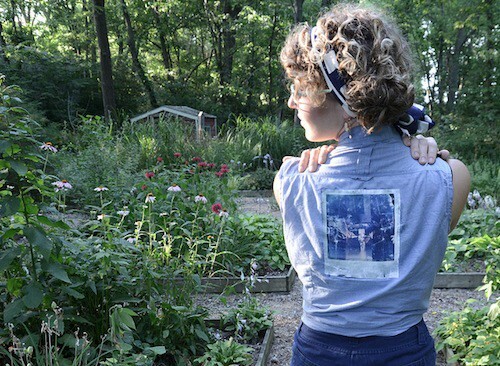 Make designer inspired fashion by adding your favorite Polaroid to the back of a shirt. 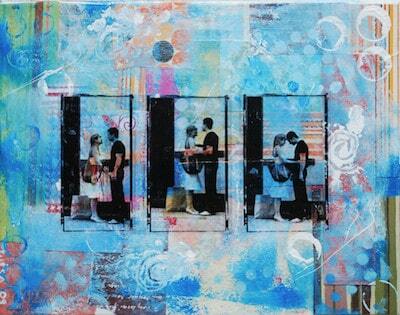 Fill that empty space on a wall with dramatic art made using a photo transfer. A plain pair of shoes gets a new lease on life by transferring a floral fabric print to the toes. Turn a canvas from the craft store into a cool jewelry holder with an image transfer and cup hooks. 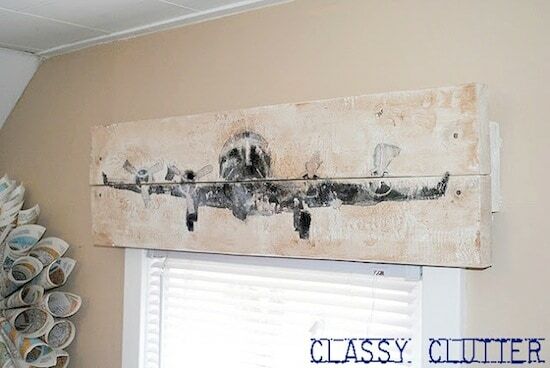 This designer inspired DIY wood valance uses wood planks and a cool airplane graphic – but you can transfer any image or photo to your valance. Are you wondering how to transfer photos to glass? You're going to use the decal method I outline in this post. It takes some practice but the results are cool (and the clings are reusable!). 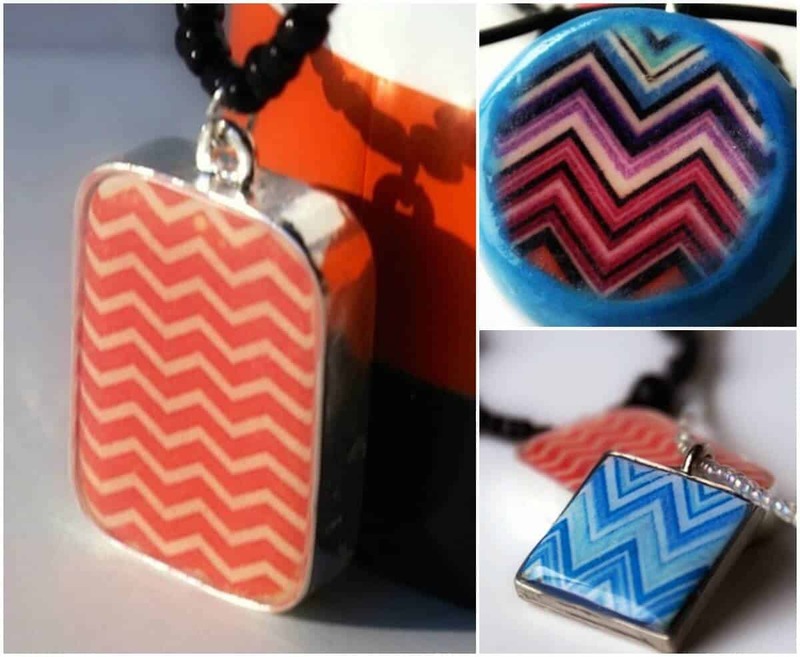 Use photo transfer and Dimensional Magic to make cool chevron patterned necklaces. The process is really easy and fun. Mod Podge photo transfer medium uses laserjet images, but in this tutorial you can use regular inkjet images along with Mod Podge to make a transparent transfer. 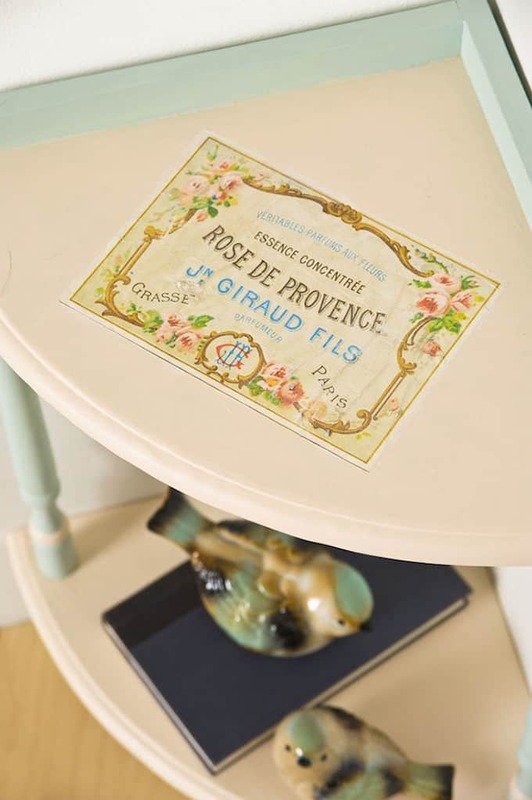 Revamp an old end table or plant stand by painting it and then adding a vintage graphic to the top. This project is so easy! If you want to do a Mod Podge photo transfer, don't forget the photo transfer medium! 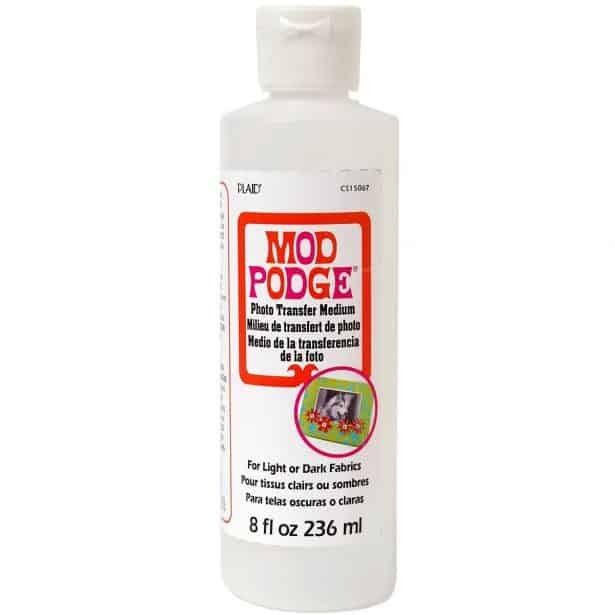 This product is different than regular Mod Podge. Get it here . . . then keep scrolling for more projects! 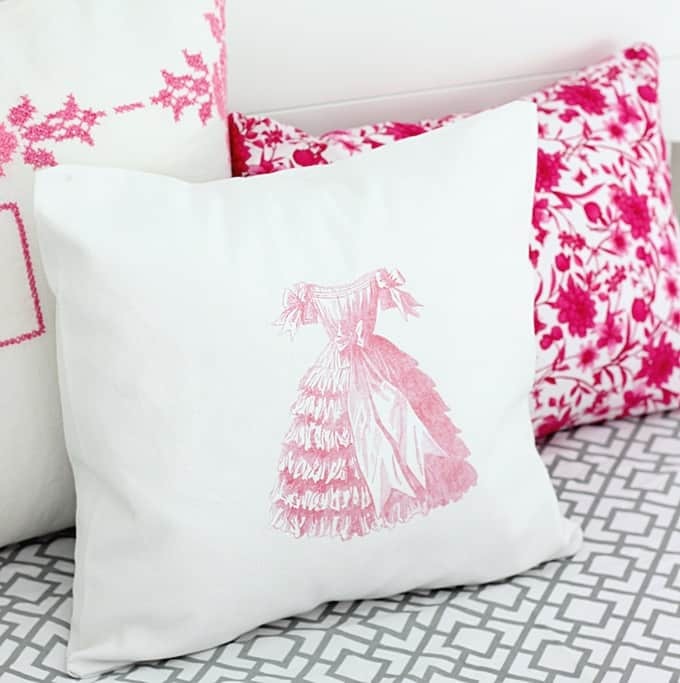 Take a plain pillow and personalize it with the graphic of your choice. This was made for a nursery – I love the vintage dress theme! If there is a pretty piece of scrapbook paper you like and you want to adhere it to fabric, you can! Learn how to do it with this tutorial. Decorate wood hangers with vintage style typography and graphics – and Katie's infamous photo transfer technique using Mod Podge. 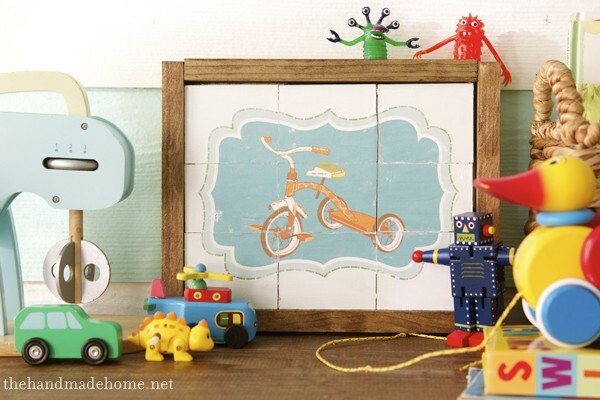 You can use images and wood to make a double sided puzzle that your children will love. Wouldn't this make a cute gift idea? 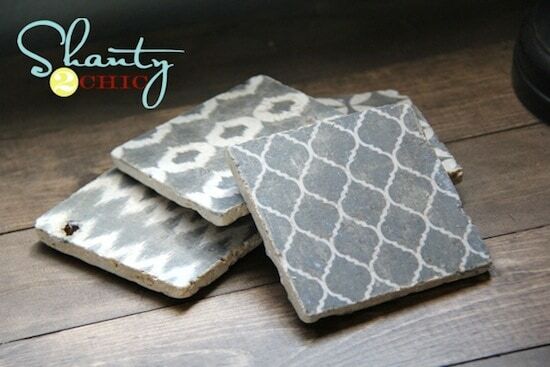 Choose your favorite graphic images or printables and transfer them to the fronts of coasters using this easy method. 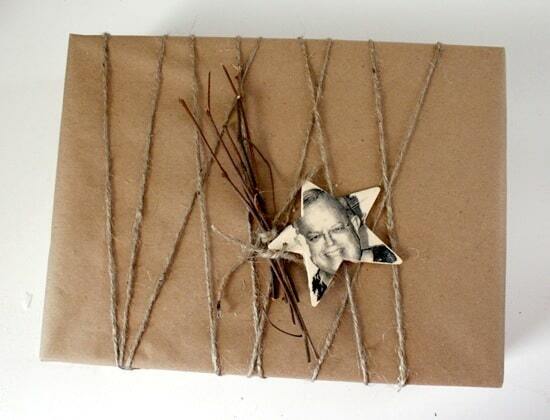 You can make these photo books to give as gifts or put on display. This would be so fun to do with vintage photos, black and white, and more. 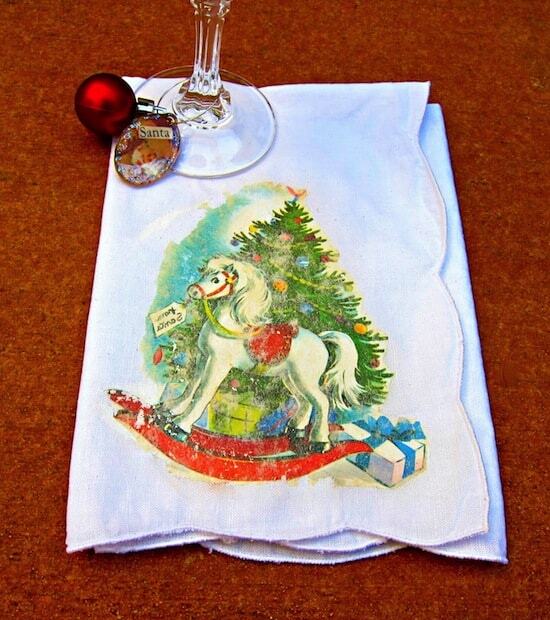 Add a vintage touch to your holiday table with these easy Christmas napkins. A fun twist is color copying an image out of a children's book to make them. 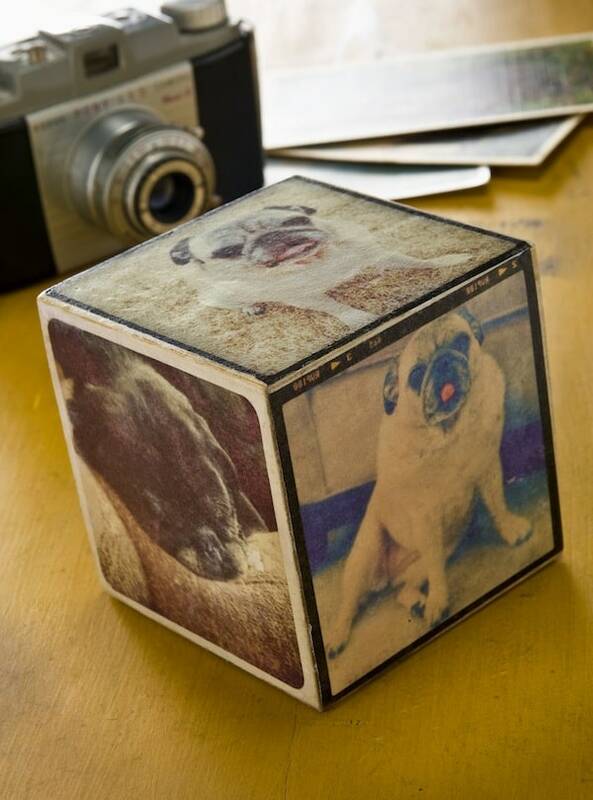 Get your Instagrams off your phone and transfer them to all sides of a wood square block that you can put on display. 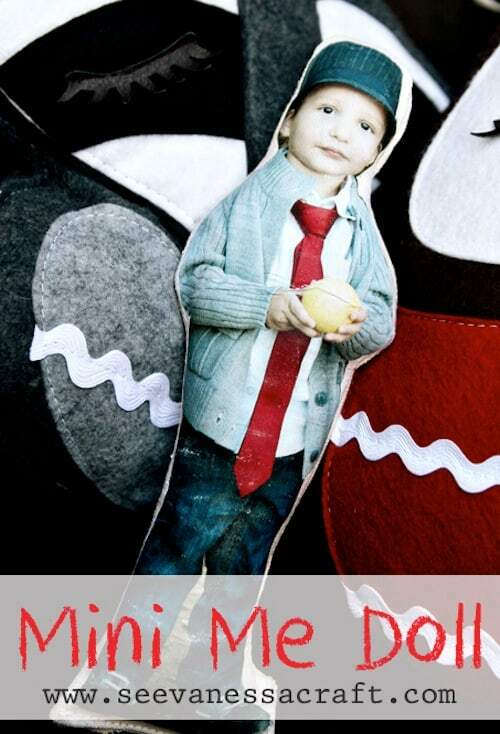 Who doesn't want to see their face on a doll? Make this out of a picture of a child or pet. 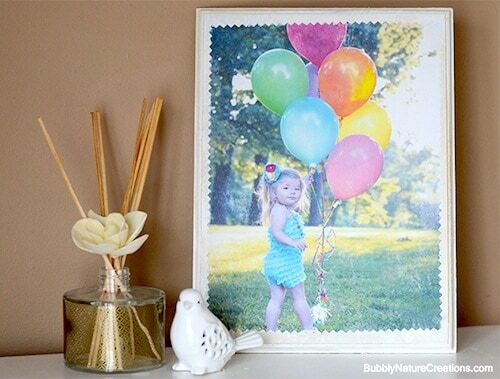 Don't throw those stir sticks away after a paint project – use them to frame an image transfer. 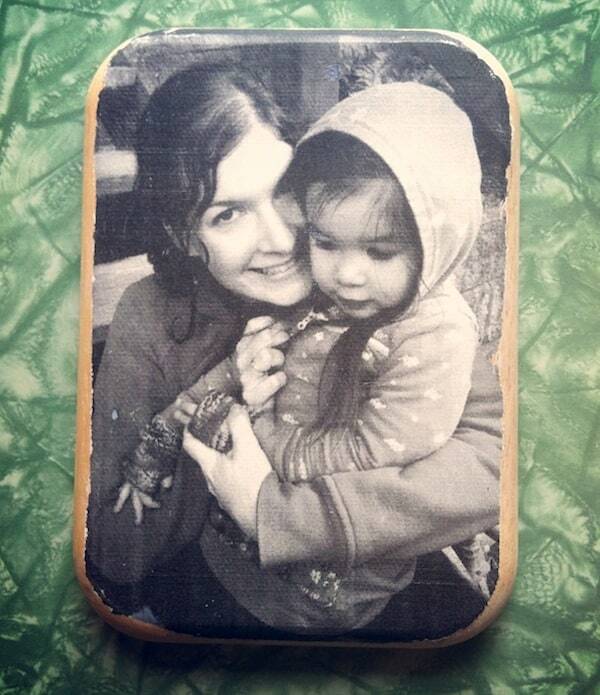 Pick your favorite family image and transfer it onto a wood plaque with Mod Podge. Plain baby onesies are fine – but they aren't nearly as fun as ones with graphics photo transferred to the front. Wouldn't this make an awesome gift for a baby shower? You have so many options for personalization! Any table runner can be made that much better with the addition of vintage graphics. 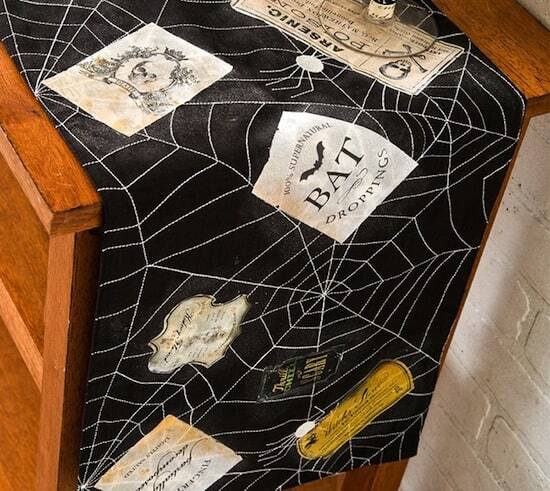 This particular runner is awesome because it's Halloween themed – my favorite! 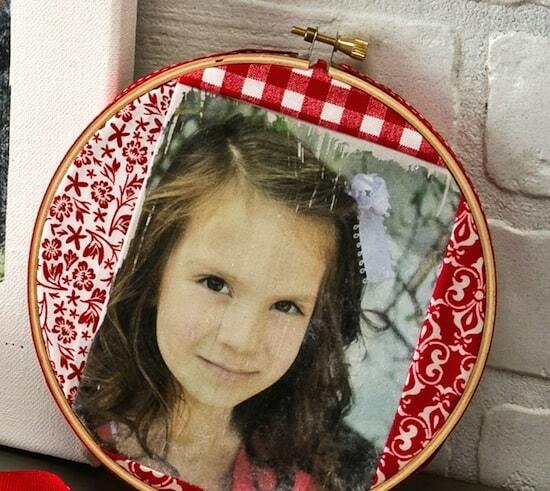 Use fabric, an image and an embroidery hoop to make a personalized piece of wall art. This would look so fun doing versions for each family member! 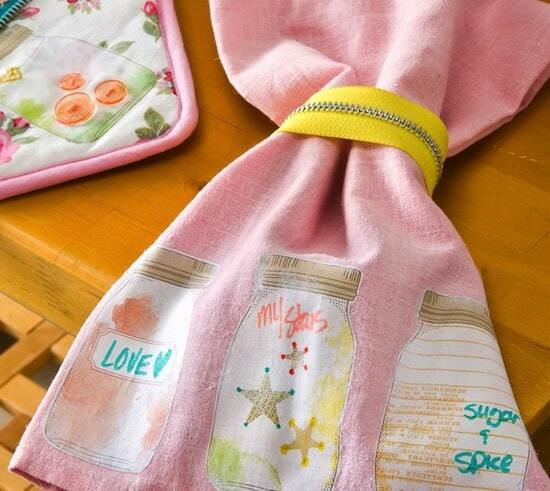 Transfer your favorite scrapbook patterns to dish towels for the perfect hostess gifts! These are so cute for the holidays. Nitsa will show you how to layer interesting backgrounds with photo transfers on top for awesome wall art. This technique would be beautiful for journal pages as well. 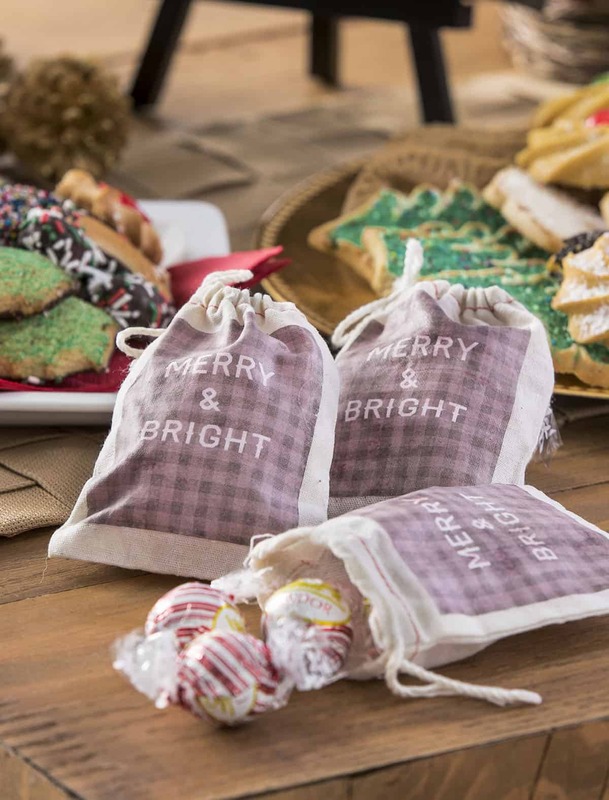 I absolutely love these favor bags that I made for Christmas! You can get the free printable I used at the post above – or you can design something of your very own. Perfect for parties. I love the look of a Mod Podge photo transfer on raw wood, like these personalized gift tags. Once they are off of the gift, turn them into ornaments! Label your tables at a wedding or party with these cute little wood slices with the numbers transferred on top. Wouldn't these be amazing for a wedding? 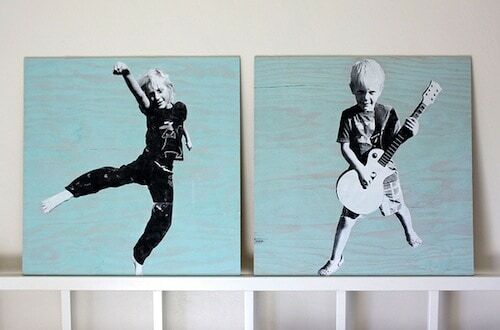 Any image can be transferred to wood and put on display with Mod Podge photo transfer medium. Get your plaque at the craft store – it's really easy to do. Are you ready for your bonus video? Get the skinny on using both the clear photo transfer medium and the standard photo transfer medium – with tips and tricks from Cathie and Steve! Have you ever tried photo transfer crafts? I'd love to know – just leave a comment! 101 Unique & Amazing Mod Podge Uses! Oh my gosh! So many ideas I don’t even know where to start. Thanks for compiling this awesome list! I love all these different creative ideas! I would be happy to win ANY Mod Podge products, but one thing I haven’t tried is the Glow In The Dark Mod Podge. 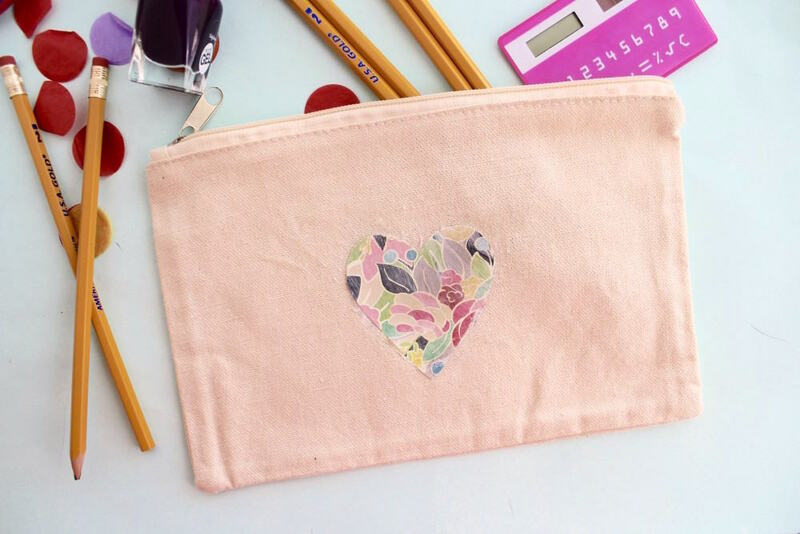 I would be happy with receiving any Mod Podge product in this giveaway. 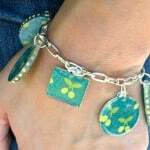 I use Mod Podge so anything in the giveaway would be useful to me. Thanks for all the inspiration today. There was loads of it and I would really like to Mod Podge a photo onto something but it is one thing I haven’t done it. I love your blog and I love Mod Podge! This would be a fantastic giveaway to win–thank you! Love the 30 ideas! 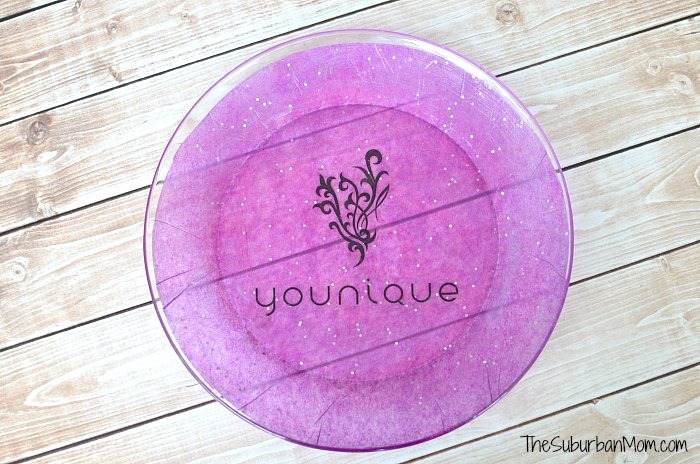 I would love to win some matte finish mod podge! I love Mod Podge & would be happy to receive any of the products available. You can never have enough Mod Podge! Thanks for the chance to win!! 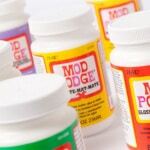 So many great Mod Podge products! I’d just like to try them all! I just wanted to stop and thank you for the chance to win the giveaway!! Thanks for posting the fabulous projects! I just want to scream!!!!! I want to do EVERYTHING.!!!! Please,111111111111111111111111111111111111111111111111111111111111111111111111111111111111111111111111 why didn’t I know about all of the cool stuff to do w/ ModPodge earlier???? I love all the ideas using photo transfer! I can’t wait to try it! Thanks for the chance to win this fantastic giveaway!!! These are such cool projects! I’ve got my transfer medium, my canvas and now just picking out photo’s to try this out with! This product is on my to-do list! I really want to try and make a photo-transferred onesie! There are so many possibilities with this stuff!! This is one product I’m anxious to use! 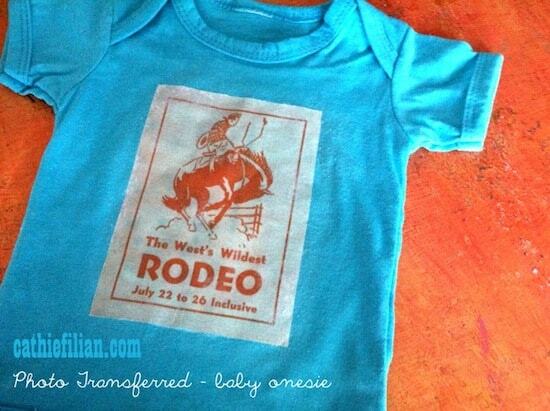 My favorite are the tees and tennies decorated with Photo Transfer ModPodge medium — one will be my next project. Thank for putting all these techniques in one post. It’s the weekend and I am excited to try some of these out. 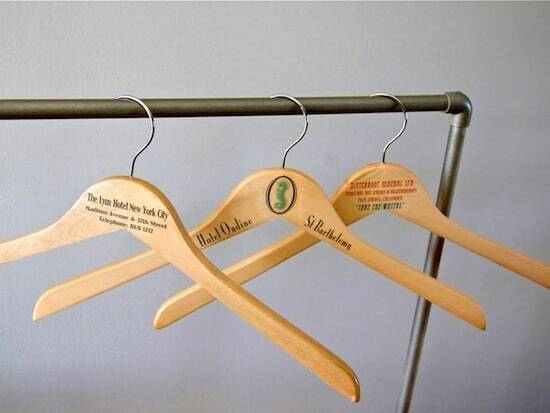 These are awesome ideas, definitely need to try this! Do you happen to have a Featured On Modge Podge Rocks button that I can put on my blog? por el blog y por vuestras ideas. I really want to try transferring. I have soooo many ideas for nifty gifties if I can master it. Thank you for all the great ideas! I am excited to try some out for gifts! Hi! I’ve tried transferring my photos w/Mod Podge w/success. I have, however, learned you need to use a low weight paper. You’re putting yourself through too much work if you use heavy paper. Love the ideas! Especially the one with the little table, gotta do this sometime myself… just created a canvas with modge podge, acryllic paint, silhouttes and old book pages … check out my blog! i attempted my first photo transfer project and have done it wrong already. I modpodged the wrong side of the photo..put it on the glass piece i selected and realized after it was the wrong side. can this be salvaged? Hi lirije! Can you try to soak the glass and get it off? You’ll need a new photo to repeat the process . . . but I’m hoping that soaking the glass will get it off. I’ve just discovered Mod Podge and I’m in love. Planning a future project using the photo transfer medium – can’t wait! !